Bali is a popular tourist destination and many visitors flock to its excellent, pristine beaches for a holiday by the sea. Although Kuta is the best known of the resorts, and therefore always busy, my personal favorite is Ubud in central Bali, with its lakes, mountains and impressive ancient temples. The central location makes Ubud Villas an ideal base – from here I’ve been able to take a series of day trips and explore the farthest-flung reaches of the island. Lakes and mountains abound and the central mountain range in Bali is one of the most scenic spots. Visitors flock to Lake Bratan Temple, on the western lakeshore, which appears to be floating on the lake. Outdoor enthusiasts come to enjoy the walks through green rice fields and experienced climbers revel in meeting the challenge of nearby hills and mountains, such as Mount Batukaru. With the help of a guide and an early morning pick-up, I love to take advantage of the chance to watch the sunrise from the top of Mount Batur – about one hour away from Ubud to the north. 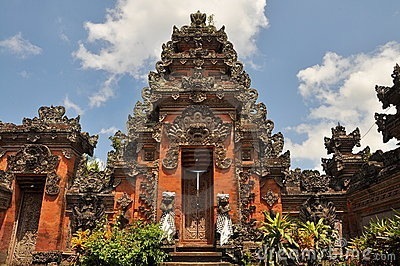 Located in the foothills, Ubud is home to a colony of artists and is widely regarded as being the cultural capital of Bali, home to arts and crafts workshops displaying unique locally made items, including jewelry, carvings, paintings and sculpture. This is by far the best place to shop for souvenirs, and I always find an appealing piece of traditional or contemporary art that begs to be taken back home. Amongst the many museums and galleries, the Museum Puri Lukasan, is dedicated to the fine arts, and I found it an interesting place to learn about the various schools of art in Bali. Another place I visit every time is the extraordinary Don Antonio Blanco Museum. This is a riotously eccentric baroque building, created by its unconventional and colorful owner of the same name. Spanish by birth, the late Don Antonio’s studio is open for visitors and members of his family take guests on guided tours of the amazing galleries and gardens. There are no nightclubs in Ubud, however after the sun goes down the Balinese dance performances begin and these take place almost every night. Usually I go with friends to watch a performance, have a meal at one of the restaurants or a quiet drink in a bar with live music. I’ve never been a big fan of archaeological sites, but the caves, amazing rock carvings and temple complexes near Ubud are absolutely mesmerizing, conjuring up as they do the history of the indigenous people, their customs and traditions in a way that’s hard to resist. One splendid example, the Elephant Cave, known as Goa Gajah, is just over a mile from Ubud and has the most terrifying entrance I’ve ever seen – a huge gaping elephant mouth that positively discourages the faint-hearted. There are plenty of hotels and spa resorts around Ubud, some near the Monkey Forest and others set in lush vegetation on the hillsides. I love the freedom of staying in the Ubud Villas – the access to the luxurious amenities on offer make Ubud the perfect place for a restful and revitalizing retreat.